Hannah has been terrified of riding her bike forever. 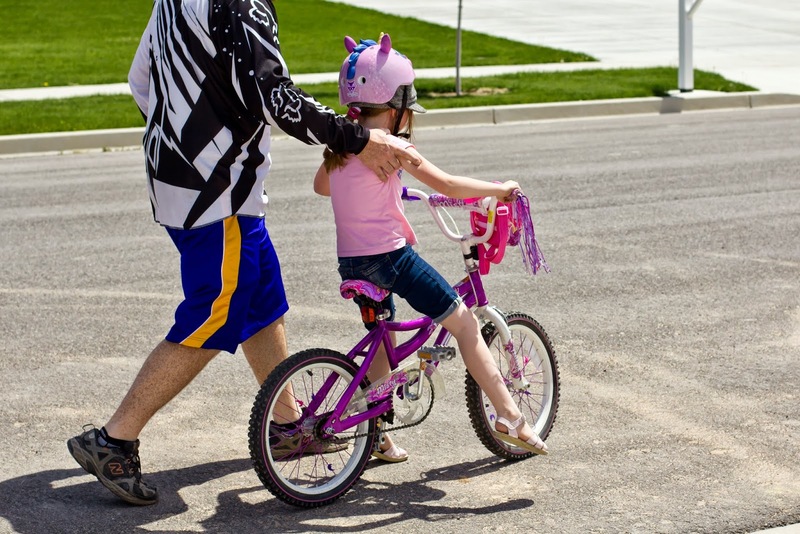 When she was three and first learning how to ride a bike she got on it and took off after the older kids only to go down a hill and crash, that was the end. After that she would ride around really slow, I could walk faster then she would ride, because she was so terrified of wrecking.We tried to explain she would be fine with the training wheels and it is easier if you go faster, but she was not convinced. When we moved into our new neighborhood she had friends who rode bikes and she became determined to ride her bike with them. 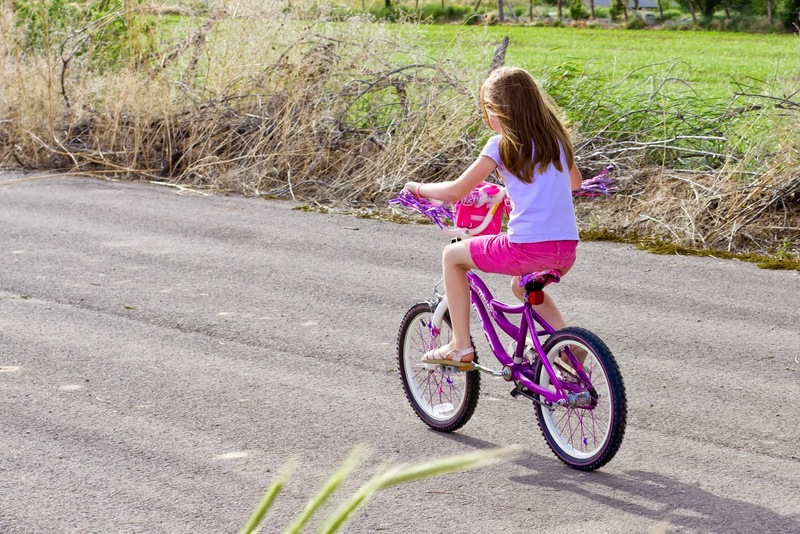 She was the only one who still had training wheels and was embarrassed she didn't know how to ride without them. 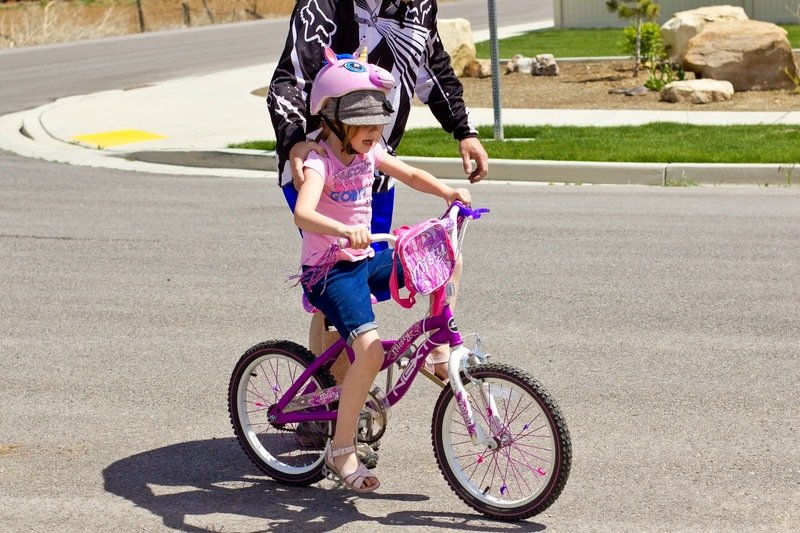 She asked Rob to take them off one Saturday so he did and tried to help her learn to ride without them. She immediately started panicking and would not ride fast enough to stay upright. 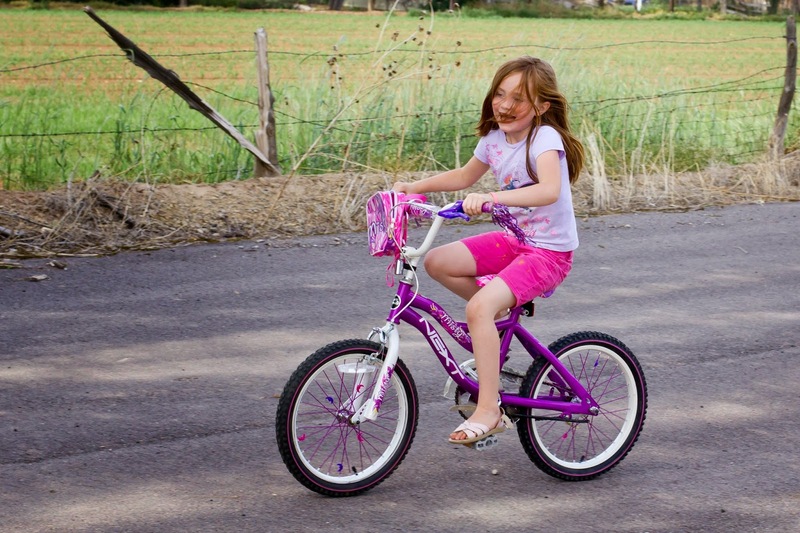 Hunter and Samantha were getting frustrated because they really wanted to ride their bikes to school but they couldn't because Hannah wouldn't ride hers. She would then get really upset anytime anyone said anything about riding bikes so we tried not to say anything. 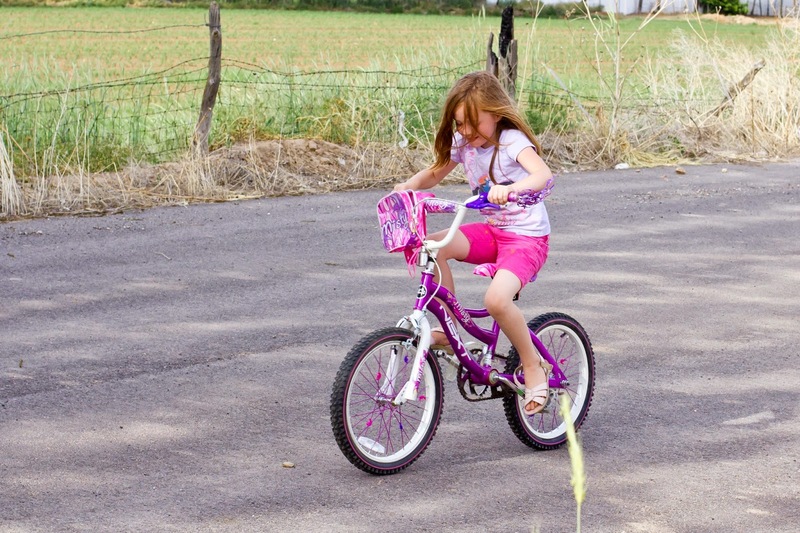 Rob and I worked on a plan to get her more comfortable with riding her bike that involved putting the training wheels back on and slowly raising them up until she was ok with taking them off. On Saturday our 'Aho cousins came over to plant pumpkins. The kids had ridden bikes to a nearby park with Hannah on her scooter and we had left Grandpa with the sleeping baby so we could run and grab compost. 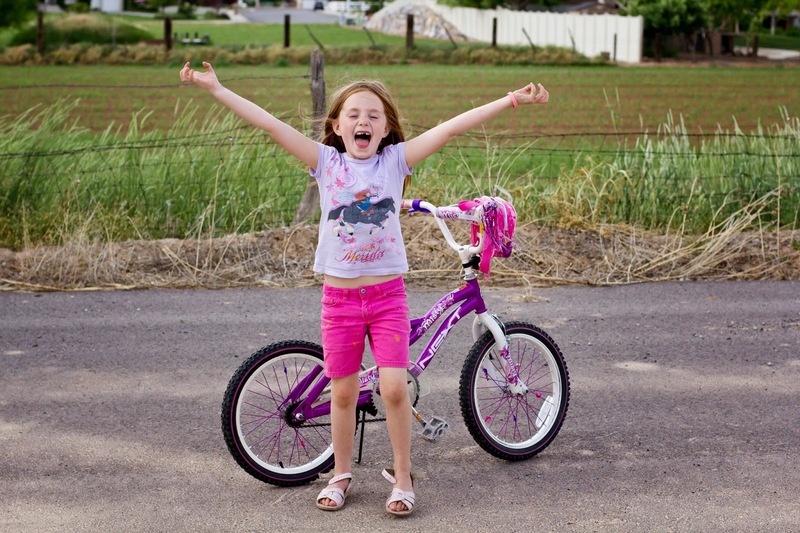 While we were gone my phone rang, Hannah was on the other end with good news, she could ride her bike without training wheels. Austin had ridden her bike to the park and she decided she wanted to ride it home, so she did. 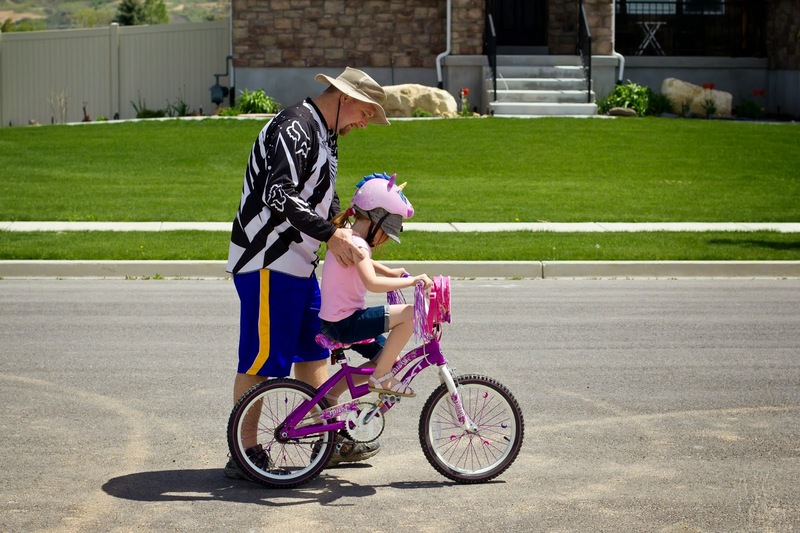 We are still working on a few things, like using brakes instead of her feet and riding on the side walk, but that girl is loving her new found skill and is always asking to ride her bike around the block. The rest of us are enjoying family bike rides to the park and we are all looking forward to a summer full of riding bikes to the sno cone shack. She is pretty proud of herself and so are we! !